Ecommerce became one of the most profitable field in this era. Everyone can has something that can be sold online. So you need to make a website which can handle adding and removing goods and make their descriptions and images. This website has o handle payment and shipping and dealing with buyers. Before a lot of thinking and fear from a lot of complications, There are many platforms and plugins which help you to handle ecommerce activities on your website easily without wasting a lot of time in building a website from scratch. If you want to make an Ecommerce website, you will need the following WordPress plugins besides the essential plugins that we discussed in previous article. You can use WooCommerce to sell unlimited number of goods physical or digital. WooCommerce offers a robust extension system, based on the WordPress plugin format. WooCommerce can handle payment via paypal, credit card, BACS, and cash on delivery. If you want to customize more payment methods, you can install addons to your WooCommerce store. There are thousands of free themes that can be compatible with WooCommerce. Setting up a store is free, aside from your web hosting expenses. 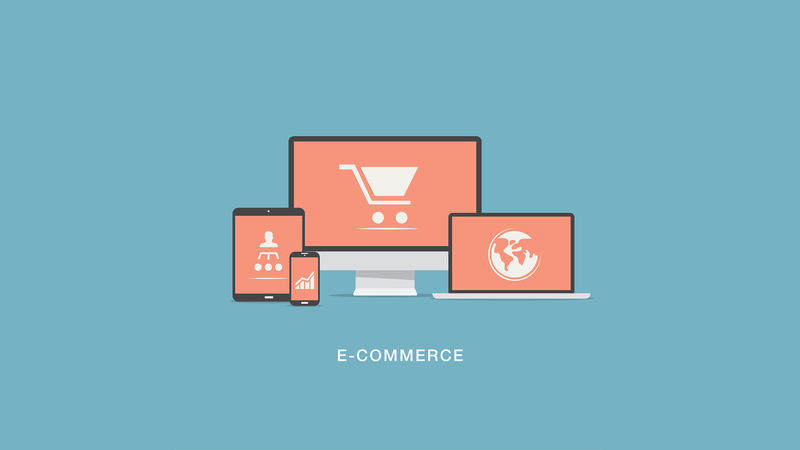 With WooCommerce, you can design Ecommerce website easily in minutes so you can start selling any type of goods. Ever since Automattic (the team behind WordPress.com blog hosting) acquired them in 2015, WooCommerce has been adding more themes and features that are optimized for an eCommerce WordPress website. WooCommerce also provides easy-to-follow documentation that walks you through different aspects of building an online store. Even if you need any support, you can upload it on the official forums to get help. WooCommerce provides lots of analytic tools to easily measure the sales and analysis according to date brand, statics of customer, calculate your daily and monthly sales, measure no. It is very secure because it’s regular updates undergoes for security purpose. If you want to customize it, you will need to hire a developer to make it because it’s advanced programming. WooCommerce is dependent on WordPress only. It contains too many features so it might be quite difficult to choose for a new user. It’s free and open source but its extension and premium version is quite expensive. EDD supports cart system for purchasing multiple downloads at once. It gives you full control on product prices, discount and promo codes and other price options. Easy Digital Downloads is specialized in selling the digital goods. It’s designed to be a lightweight WordPress plugin that supports all the essential features you’ll need to sell digital products without hassle. You can customize it for all your needs and functionalities of your store easier than WooCommerce. The Widgets, Shortcodes and Visual end result are a great help for user experience. It takes more time to set up and to get to work properly. EDD can by buggy with some themes that you want to use. It has no tracking system for the shipment. EDD can’t provide product comparison. It’s free but with limited features although It has group of plans for pricing according to usage of the website start from 99$ up to 499$. 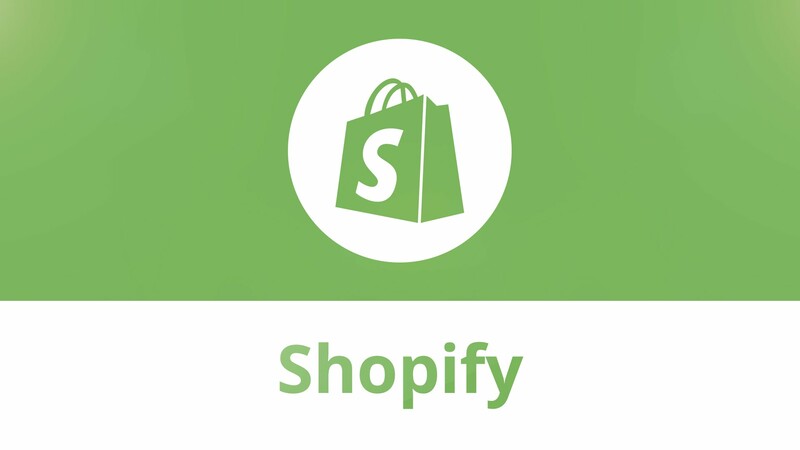 Shopify is one of the best cloud-hosted platforms and one of the industry leaders.that lets you easily get started with selling online. You can use it to sell any product on any website but there is a big problem about integration. Shopify provides the options for blog and store all in one. It supports over 100 payment method. Using shopify is easier than WordPress specially for customizing the website. You don’t have to raise your server abilities after increasing the usage because shopify depends on cloud hosting. You can depend on shopify about security, speed and other technical issues. Shopify also comes with many different attractive themes to choose, so you can change the look and feel of your storefront to give it that personal touch you crave. Shopify is highly SEO-optimized. It includes main needed SEO features in all plans. Shopify isn’t free and it has many plans from startups to growing enterprises. Shopify controls your store/website data. It makes you pay additional fees if you want to customize payment method that’s not supported by them. It’s not free and has many plans start from 29$/month for basic features up to 299$/month for enterprises. Subscription-based economy is rapidly becoming a norm in the eCommerce industry. It’s one of the best ways to generate recurring income from your online digital store. If you need only the members who can buy from your website, you can use MemberPress to handle this. It’s easy to use and set up. You can use it to deal with affiliate content. It is actually a full-featured WordPress membership site plugin that also allows you to start charging your users to access your digital goods. MemberPress can be integrated with WooCommerce, so you can easily enhance the functions of your online store. MemberPress enables you to manage your members by granting and revoking access to digital goods. It gives you more control over your inventory. MemberPress provides creating forums and social communities on your online store with the necessary extensions. It supports only payment on PayPal, Stripe, and Authorize.net. There is no customization for login page or account page. The use should have an experience in using WordPress to able to deal with MemberPress. MemberPress is not free and have 3 plans for different features 129$/year,249$/year, and 369$/year. Jigoshop is another Ecommerce platform which can help you build your Ecommerce website easily and fast. It support all the features that you need for Ecommerce store. It is used for selling different kinds of products of various shapes, sizes, nature and the category. Jigoshop plugin provides incredible features for marketing of the products which are listed. you can know about the availability of the products by keeping a check on your inventory within few minutes. JigoShop offers an easy way to add products, tax options, and widgets. Unlike WooCommerce, the free edition has many elegant themes that can be used. With Jigoshop you can upload an unlimited number of products to your site by default, without paying an extra penny. It will monitor your sales of that product and automatically update the quantity remaining in your inventory. It supports many payment gateways like PayPal and FuturePay with more than 100 currency. Jigoshop team update a lot of features all at once with different behaviour to deal with them. It may have a hard problem in integration and migration to other platforms and many plugins. The version of smartphones isn’t working very well. It doesn’t fit well in SEO optimization. The amount of free customer support you get from Jigoshop is limited. WP eCommerce is the oldest WordPress Ecommerce plugin, but it’s not as popular as WooCommerce. It provides shipping modules with options such as flat, table and weight rate as part of our free platform, you can ship simply with peace of mind. If you prefer external shipping options, we offer UPS, USPS and others in our free platform. You can choose from various secure Payments such as ProPay, PayPal, and WorldPay. Also you can choose from premium payment gateways such as Stripe, Authorize.net and many more! WP eCommerce makes it incredibly simple to automate your marketing using integration to systems like Google Base, Google Analytics, Share This (and countless more via extensions), WP eCommerce makes marketing your products easy. WP eCommerce has one of the most robust tax management systems of any eCommerce platform. WP eCommerce provides a group of unique features that let you create a beautiful online store from the ground up. It offers integration with a lot of payment gateways. It still has many many bugs and can’t afford extensions when compared to WooCommerce or Shopify. WP eCommerce fits with small scale online business only so If you are planning to make your business as a large scale this will not fit with you. You can download it for free but if you want more features for premium and enterprise you can pay from 99$ up to 255$. BigCommerce is another cloud-hosted Ecommerce platform to get your online store up and running quickly. BigCommerce is best suited for small to medium-sized online stores. BigCommerce offers a wide range of payment options to help you transact globally, increase mobile conversion and grow average order value. It gives you the shipping options you need to improve conversion, encourage customer loyalty and streamline your operations. You can use it to create beautiful, intuitive ecommerce websites that enhance your brand and engage shoppers. BigCommerce takes care of website hosting and security with leading performance and level1 PCI compliance. BigCommerce provides a lot of features and addons without the need to pay for them. It provides a big number of themes and templates which you can choose from. BigCommerce has bundled discounting and segmentation tools that let you seamlessly offer promotions for driving more sales. It provides great technical support services so you can have help to solve your issues. It can be used on mobile version perfectly without any problems. It’s similar to shopify where it does not support integration with your WordPress website. If you want to integrate a storefront with your domain, you might host your WordPress blog and eCommerce store in different subdomains (like shop.example.com or blog.example.com). In the end, you are using the resource of BigCommerce to sell your product so everything in your website goes back to BigCommerce. It’s not free but it has different plans from 29$/month up to 249$/month. It’s also one of cloud based platform. LemonStand enables you to build a beautiful and elegant Ecommerce website with different features and capabilities to compete in this big market. It offers a unique user experience for the users including the checkout process with the front-end development tool. It can be integrated with over 100 web applications for different purposes, from payments to shipping and accounting to marketing. Flexibility, Versatility, Fixed Pricing Plans. Their documentation is pretty terrible. The developers do not always understand what to do with features that not described in the documentation, so they often turn to technical support. There are certain limitations in report exports and product category organization but they are working to improve them. You can download it for free for 14 days then you have to choose between different plans start from 19$/month up to 199$/month. Magento is open source Ecommerce platform. It is currently known as the most flexible eCommerce platform. Being literally a masterpiece of software craftsmanship, it offers nearly unlimited possibilities for tech-savvy store owners. You can use Magento to sell unlimited number of goods physical or digital. It comes with its own theme and layout. Magento can provide API to enable any connection with other parties. Intuitive admin interfaces and product creation tools. Magento offers a large group of features which can be used to sell anything. It enables you to scale with any size that can support your host. It can be customized to implement your own website and can be scalable as your business needs. Magento supports SEO optimization so it’s a friend to search engines. IT supports the payment via PayPal, Authorize.Net, and Braintree right out of the box. If you want advanced customization, you will need developers which is hard to find for Magento. For enterprises, it can be very expensive. It’s free and open source but if you want to buy the enterprise edition it will be costly so much between 22000$ to 125000$ per year. Volusion allows you to focus on selling products and leaves the technical stuff, like getting bogged down by servers or getting frustrated with the back end of your site, to them. Volusion does not charge any transaction fees so you keep all of the revenue you make. Intuitive site builder and elegant themes. It offers a group of powerful selling tools like analysis and sales reports. secure for payment and money transactions. It’s scalable and can grow with your business. It offers user friendly website with easy usage for dashboard. Volusion afford for mobile applications too. The bandwidth is limited on Volusion. It has no built-in blog. The customizations are limited on this platform. It’s not free but you can choose between plans which start from 15$/month up to 135$/month. Shopp is one of the plugins that you can depend to build Ecommerce website. IT has many features and many disadvantages so let take a look about them. You can use Shopp to run sales, add new products, update inventory, ship orders so easily. Shopp’s comprehensive security builds on the solid toolkit of WordPress to keep your website safe from hacking. Engineered beyond the WordPress blogging architecture, Shopp goes to great lengths to deliver the best performance possible. Shopp gives you a manageable number of starter templates to work with. Developers for Shopp make tables in different database to improve the performance of storage on the website. Shopp plugin supports physical, digital, and virtual product types. It supports multiple payment gateways without external extensions. Technical support on Shopp is very strong but there are limited free support requests. It fits with limited themes so you don’t have a lot of choices about the appearance of the website. It’s free for limited features do after growth of your website you need to think about buying one of the plan 75$ or 299$. There is no best thing forever So you have to know what you need to do very well and read about the different platforms then choose what suitable for you. But generally, many people prefers the work on shopify or WooCommerce.